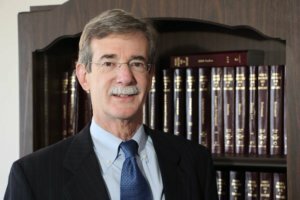 In a letter sent Sept. 24 to the clergy of the Archdiocese of Baltimore, Archbishop William E. Lori informed priests and deacons that the archdiocese has been in discussions with Maryland Attorney General Brian E. Frosh about an investigation of records related to the sexual abuse of children. “I have informed the attorney general that the archdiocese is supportive of the review and will be fully cooperative throughout the process,” the archbishop wrote to the clergy. 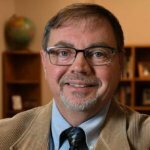 “Based on my conversations with people throughout the Archdiocese … it is clear that we are a church in crisis and that crisis is one of trust. “It is my hope and prayer that this independent review and other acts of transparency by the Archdiocese will bring about greater trust in the Church among those who are understandably skeptical about the Church’s handling of allegations of abuse,” Archbishop Lori said. The archdiocese said in a statement that out of respect for the attorney general’s previously stated practice of not commenting on investigations, the archdiocese does not plan to comment further on the review of its files while the attorney general is conducting his investigation. Aleithea Warmack, deputy director of communications for the Maryland Office of the Attorney General, said Sept. 24 the office’s standard policy is to not confirm or deny the existence of any investigation. She told the Catholic Review that the OAG’s website includes a quick link on its home page to report allegations of child sexual abuse, especially in a school or place of worship. The link generates an email form that can be sent to the attorney general’s office, and that information is monitored, Warmack said. According to Drew Dillingham, coordinator for resources and special projects in the U.S. Conference of Catholic Bishops’ Secretariat of Child and Youth Protection, based on the correspondence he has received, at least 50 dioceses or archdioceses out of 197 in the country have published a list in some form of clergy credibly accused of child sexual abuse. In Pennsylvania, separate grand jury investigations in 2016 in the Archdiocese of Philadelphia and the Diocese of Altoona-Johnstown preceded a grand jury investigation in the state’s other six dioceses. The report released by Pennsylvania Attorney General Josh Shapiro released a report from that investigation Aug. 14. Other states have also recently announced investigations into clergy sexual abuse of minors, including Michigan, Indiana and New York. Archbishop Lori was appointed Sept. 13 as apostolic administrator of the Diocese of Wheeling-Charleston, W.Va., and announced that Pope Francis had instructed him to conduct an investigation into allegations of sexual harassment of adults against Bishop Michael J. Bransfield, whose resignation as bishop of the diocese the pope accepted at that time. Click here for more information about the Archdiocese of Baltimore’s response to the clergy sexual abuse crisis.